KAMPALA – The Parliamentary Committee on Commissions, Statutory Authorities and State Enterprises (COSASE) has on Monday resumed it is a probe into the closure of seven commercial banks, with some ending up in massive controversy. 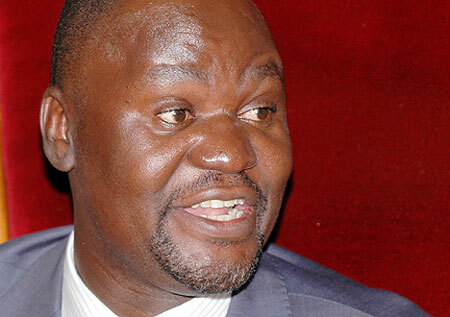 The committee led by Bugweri MP, Abdu Katuntu resumes its final phase of the enquiry into the irregular closure of seven defunct commercial banks, with former shareholders of National Bank of Commerce (NBC) and Teefe Bank together with Nile River Acquisition Company (NRAC) facing the probe. NRAC is the now-defunct offshore firm that was sourced by BoU to buy the assets and liabilities after the closure of International Credit Bank Ltd (1998), Greenland Bank (1999) and the Co-operative Bank (1999). The firm that was based in the tax haven Island of Mauritius bought the total loan portfolio worth Shs135b, including secured loans of Shs34.5b which had valid, legal or equitable mortgage on the real property, according to a forensic audit by the Auditor General. The former shareholders of NBC, who are expected to be cross-examined by the committee, will include Prime Minister Dr Ruhakana Rugunda, Governor Tumusiime Mutebile, former Prime Minister Amama Mbabazi, and businessman Amos Nzeyi. MPs will then meet former shareholders of International Credit Bank (ICB), Cooperative Bank, Crane Bank Ltd and dfcu -the bank which took over the assets and liabilities of both Global Trust Bank (GTB) and Crane Bank. Lawyers Kanyererezi Masembe from Masembe, Makubuya, Adriko, Karugaba & Ssekatawa (MMAKS Advocates) and David Mpanga will also be quizzed on how much BoU paid them as legal fees for several cases involving the closed banks. MMAKS will also be required to clear the air over whether BoU hired them as transaction advisers in the disputed Crane Bank takeover at a fee of $251,045 (about Shs943.3m). In handpicking MMAKS, MPs have already warned that Ms Bagyenda usurped the powers of the legal department by taking over the drafting of the terms of engagement between BoU and MMAKS. The COSASE inquiry into the conduct of Bank of Uganda and its officials in the closure of seven banks, with some ending up in massive controversy has been focusing on the mismanagement of closed banks by BoU after the Auditor General Mr John Muwanga issued a stinging criticism of the central bank in a special audit that cited massive flaws in the closure of Teefe Bank (1993), International Credit Bank Ltd (1998), Greenland Bank (1999), The Co-operative Bank (1999), National Bank of Commerce (2012), Global Trust Bank (2014) and the sale of Crane Bank Ltd (CBL) to dfcu (2016). So far, several central bank officials including Ms Justine Bagyenda the sacked former Executive Director of Supervision have been in the spotlight for their role in the sale of closed banks. Ms Bagyenda and Mr Benedict Ssekabira, the director of Financial Markets Development Coordination, have been carpeted after they failed to present evidence of reports on how the value of assets of three closed commercial banks assessed so far, was reduced from Shs117b to Shs98b after the Central Bank took over the liquidation.